Physical or mental stress in the days before a cancer treatment can actually hinder a patient’s ability to respond to chemotherapy or radiation. When the body undergoes stress (even just from strenuous exercise) in the days leading up to treatment a certain stress-sensitive protein becomes active. 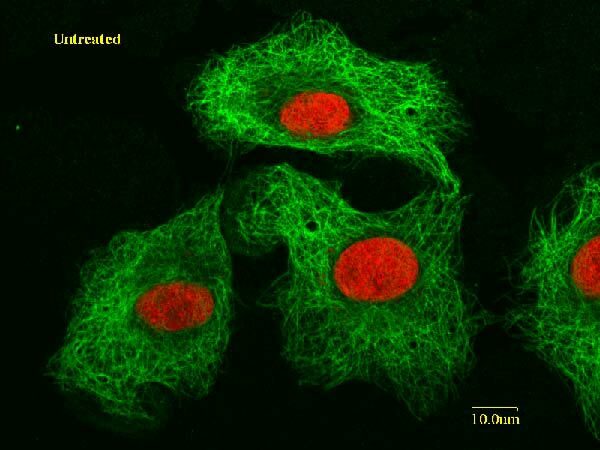 Researchers have found that this protein actually helps the cancer cells adapt and survive. Scientists first became aware of this protein, heat shock factor-1 when they found that it could help heart tissue survive even in a toxic environment. In this case, it is actually working against the body and allowing cancer cells to live on. Reducing stress is vital to all aspects of your health. Have a look at out Vision Wellness Protocol for tips on how to preserve your sight and enjoy overall health.